Narration of the video of first half and second half of the “Response to the Criticism by the Sanctuary Church Part II” was translated into English. Please refer to it. Japanese narration is also put under the English translation. Dear beloved brothers and sisters. I am Mr. Ota from Japanese HQ. Today I would like to share our “response” to the criticism by the Sanctuary Church. USA’s “Sanctuary Church” centered on the seventh son Hyung Jin Moon who has completely denied True Mother, claiming that she has overturned True Father’s words and legacy. These criticisms deny the victorious foundation that True Father has built with True Mother, and undermines the unification of the Unification Family centered upon True Parents. This is why we will give explanations to the main criticisms by the Sanctuary Church to clarify the wrong interpretations it has been making. 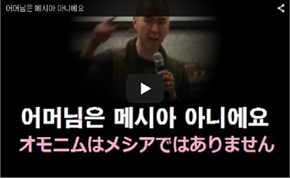 Hyung Jin Nim is claiming harshly that “True Mother is not the messiah but the wife of the Messiah.”’ He has criticized that True Mother is not the Messiah, especially in the sermon made on July 19, 2015, by saying that “True Mother has left the position of an obedient object partner by calling herself God and the Messiah. All lineages except the Messiah’s lineage are Satan’s lineage. True Mother has seated herself on True Father’s throne by claiming the Han clan as God’s linage. Here we will discuss how we should understand this issue from a principled point of view. In the Divine Principle it says that, “The Messiah comes as True Parent of humanity.” (p179) In addition, “Messiah is the True Parent” is the heading of p194 Cheon Seong Gyeong of the Eight Textbooks and Teaching Materials, and True Father clearly mentions that, “The Messiah is a True Parent.” (p194) Therefore it can be said that the Messiah is a word that refers to both the “True Father” and “True Mother” in the Unification Principle. 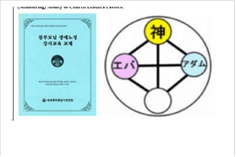 However, True Father also mentions that, “The Messiah is a man.” in p192 of the very same Cheon Seong Gyeong of the Eight Textbooks and Teaching Materials. On the surface it appears that True Father is contradicting himself. However, it is also true and not contradictory that “The Messiah is a man”. We have to have a clear understanding of this. We will look at p180 of the Cheon Seong Gyeong of the Eight Textbooks and Teaching Materials to explain the similar phrases that seem contradictory. The different concepts that the “True Parent”, that is two people, and a one man is introduced in this phrase. Traditionally, Jesus alone was believed to be the Messiah in Christianity. It can be said that Jesus, appearing as a man, can come alone as the Messiah. However, if Jesus tries to fulfill God’s will as His mission, it cannot be done alone. It is because the Messiah comes as the “first human ancestor” to fulfill God’s Will of the Ideal of Creation in this position, which has been lost by Adam and Eve’s fall. This is why the Messiah must come as the “True Parent”. So “What is God’s will?” True Father defines it as the following. The Messiah will appear as a man, but in order to fulfill the “family four position foundation” for the Messiah to accomplish God’s “Will”, there must be a “True Mother” to become the “True Parent”. This is why the Unification Principle claims that the Messiah “must become a True Parent” for the Messiah to fulfill the mission as the Messiah, and the reason why the “True Mother” along with the “True Father” must become the Messiah. Hyung Jin Nim is in open denial saying that “True Mother is not the Messiah”, and criticizes that “True Mother is trying to take over True Father’s position as the Messiah”. However, instead of “True Mother trying to take over True Father’s position as the Messiah”, she “already is the Messiah along with True Father.” In fact, True Father has declared to the world that “I, myself (True Father) and Hak Ja Han is the True Parent, the Savior and the Second Advent, and the Messiah of human kind.” in front of the VIPs at the banquet of the World Culture and Sports Festival in August 24, 1992. This declaration by True Father includes True Mother. True Father stated, “What is the core of the Messianic Thought? It is the thought for the world salvation and unification, the teaching to create the Original Ideal Family, and to restore the position of the True Parent that has been lost by the fall of the first human ancestors. (January 22, 2001) From this we can understand that the Messiah that must restore the position of Adam and Eve as the “True Parent” is the “True Parent”. “Who is the Savior? The responsibility of the Savior is not just to save individuals. He must save Savior’s the family. He must save the Savior’s country over families, the Savior’s world over country, and liberate Savior’s heaven and earth and God, the Savior’s Lord. In this way, the Messiah will first come as an individual with the appearance of a man. But for the Messiah to fulfill his responsibility as a Family Messiah, Tribal Messiah, National Messiah, Cosmic Messiah and liberate God, there must be an original “Eve”. That is to say, the “True Parent” is the only way to stand in the position of more than a victorious Family Messiah. This is why we say that the Messiah is a “True Parent”. Therefore True Mother is also a “Messiah”. Here we will give an answer to this issue. Many of those who criticize True Mother tend to think that only males hold “God’s lineage”. Here we must have a correct understanding of “lineage”. As we can see, True Father has physiologically said that the inheritance of life from the parent to the child, in other words the “lineage”, is rooted in the unity of the sperm and ovum centered on love. However, He does not limit this just in a physiological dimension, but rather thinks even more deeply by saying that the “root is based on love”, emphasizing the importance of love. We must recognize this “love” to approach the issue of connecting to God’s lineage or to Satan’s lineage. True Father has mentioned in the Peace Messages that “Life and love come together to create lineage.” “Lineage is the most special among all gifts parents bequeath their children.” Lineage cannot occur without life of both sexes of male and female. This exactly means, “Lineage cannot be created without life or love. Amongst love, life and lineage, lineage is the fruit.” Lineage is the “fruit” that is created from love and life. The “Messiah” was born from the Moon clan. However, we must understand that only True Father was born “without original sin”, but the other members of the Moon clan, including True Fathers father “Kyung-yoo Moon” and mother “Kyung-gye Kim”, are with original sin. So strictly speaking they are not from “God’s lineage”. The same goes for Jesus. Although Jesus is “without original sin”, His parents Mary and Zacharias are “with original sin.” Therefore, strictly speaking, these people also are not from “God’s lineage”. Therefore in the strict sense it was “Jesus” the second Adam, who was supposed to start “God’s lineage”, and it was “Reverend Moon” the third Adam, who actually started God’s Lineage. Therefore, the “True Parent” standing in the position of the human ancestor, the starting point of “God’s lineage” in human history, is where “God’s lineage” began. That is to say, in order for God’s lineage to start, there must be a “True Father” and a “True Mother”. We really need “Eve” standing in the position as the first human ancestor. Jesus could not start “God’s lineage” because he could not meet his bride (True Mother). Therefore Jesus ended his life on Earth as the person who was supposed to start “God’s lineage”. However, in the case of True Father, he became the person who actually started God’s Lineage since He was able to create Mrs. Hak Ja Han as the “True Mother” of humankind. For this reason, “God’s lineage began by the two people from the Moon clan (True Father) and the Han clan (True Mother)” is the correct understanding and the accurate expression. So, the expression made by the people of the Sanctuary Church that “the Messiah’s lineage is the Moon clan, not the Han clan” is not correct in various senses. On the other hand, although the claim that “All lineage except the Messiah’s lineage are Satan’s lineage” is correct in a certain sense, it should be used with a deeper understanding of what it really means. Every human being in human history was born under “Satan’s lineage”, namely fallen lineage until the Messiah becomes the “True Parent” and starts “God’s lineage”. In other words, humans belong to the fallen lineage, including the Moon clan that gave birth to the Messiah. This is why we must be extremely careful when we speak about this issue. Presently, the Sanctuary Church is holding its original “Blessing Ceremony”, the “Holy Blessing for Returning to True God and True Father’s Authority”, claiming that members must be blessed by the Sanctuary Church by 2016, True Fathers Birthday. How should we approach this from a principled point of view? First, the “Blessing Ceremony” by the Sanctuary Church gives its own “Holy Wine” that is different from the traditional Holy Wine. We can see that the Holy Wine holds a historic value, which the spirits constantly come and ask for a sip. This is because it is made by the victorious foundation of the True Parents as the first human ancestors. Our first human ancestors Adam and Eve lost “God’s lineage” through the fall. The “God’s lineage” that was lost, is inherited to us through the Holy Wine Ceremony to change our lineage by our victorious True Parents who stands in the position of the first human ancestors. The “Blessing Ceremony” is given meaning and value only when using the “Holy Wine” created by True Parents. The Cheon Il Guk Holy Wine was created on Earth by True Father before His Seong Hwa. Since the victorious foundation is eternal, the Holy wine is valid even after True Father has gone to the spirit world. It is similar to the fact that Christians are given spiritual salvation through the “Sacrament” of bread and wine, even after Jesus’s ascension to the spirit world. Therefore, “The Blessing given by True Mother after True Father’s Seong-hwa is the ‘Blessing under Satan’s dominion’” is incorrect. This is a completely wrong understanding. As True Father has said, “Lineage is the most special among all gifts parents bequeath their children” lineage is the privilege only inherited from the “parent”, never given from a child. Therefore the privilege of “changing lineage” and “inheriting lineage” is held only by True Parents, and not by True Children. Nevertheless, the Sanctuary Church uses its own original Holy Wine. The authority of the officiator of Blessing Ceremony using the Cheon Il Guk Holy Wine was never delegated from True Parents. Here we can conclude that the Blessing conducted by the Sanctuary Church is unprincipled, without value, and invalid. 4. True Mother is not united with True Father? During the Hoon Dok Hae in January 19, 2012, True Father apparently said, “True Mother is going a different way from True Father. True Mother is not listening to True Father, and saying “Listen to my words!” That is an even more dreadful being than Lucifer. Those who go after True Mother like this, are devils. You!” and made True Mother stand in front of True Father, and Joon Ho Seuk, Jeong-Ro Yoon, Sun Jo Hwang and Hyo-Yul Kim stand behind True Mother to conduct a ceremony for them to promise complete obedience. As we can see, True Father is reproving True Mother saying that she is “More dreadful than Lucifer. Going a different way.” This shows she is not exactly in “complete oneness” with True Father. The explanation to this issue is as follows. We cannot draw the quick conclusion that True Mother is not united with True Father, based on hearsay of an incident that happened on January 19, 2012. Only God and True Father can make the final decision if True Mother is victorious or not. We are not the ones standing in the position to make such assessments. It is claimed that the ceremony mentioned above was conducted in January 19, 2012. However, True Father along with True Mother has held the “Blessing Ceremony in the Era to Open the Gates to the Victory, Liberation, and Completion of the True Parents of Heaven, Earth and Humankind” on March 24, 2012 at the Cheong Shim Pyeong Hwa World Center. If True Mother were really “a dreadful being more than Lucifer”, True Father would not have held the “Blessing Ceremony” along with True Mother as the officiators. In addition, True Father held a special declaration ceremony after the Hoon Dok Hae at the Cheon Hwa Gung in Las Vegas, USA on April 14, 2012. The following is the prayer by True Father at this declaration ceremony. “Sun Myung Moon and Hak Ja Han, are the ones that can become True Parents in the Garden of Eden with no shadow of the Fall, return to the position at which God said, “ you eat the fruit of the tree of the knowledge of good and evil, you will die.” ….making them one and then establishing the realm of oneness based on unified families. Welcoming with pleasure heaven’s victorious sovereignty and the kingdom of Heaven. Here I am thankful for the hardships True Mother and True Father has gone through for God’s Will, and take this time to put all things in order for Heaven. So please receive this memorial time. We have held this time to offer and bow to Heaven, so Father please receive this time with joy! Here we see that True Father has prayed “In the Garden of Eden with no shadow of the Fall, return to the position at which God said, “you eat the fruit of the tree of the knowledge of good and evil, you will die.” and “I offer in front of You, Heavenly Father, my finally having perfected and concluded the Cosmic Assembly for the Settlement of the True Parents of Heaven, Earth, and Humankind and the Proclamation of the Word by God’s Substantial Self.”, declaring the final perfection and completion of both True Father and True Mother. Moreover, True Father appointed True Mother as the president at the “Abel Women UN Inauguration Assembly” held at the Cheon Shim Pyeong Hwa World Center on July 16, 2012. If True Mother really was against True Father and failed her position, we do not believe True Father would have appointed her as the president. We can see that if these conversations were held between True Parents, True Father anointed True Mother until the very end, and trusted her to “fulfill the Will of God”. True Father and True Mother are in complete oneness. 5. True Mother has not reached perfection? According to the Sanctuary Church, True Father has said “True Mother must perfect herself by June 16, 2013.” (English translated version), claiming that “True Mother has not reached perfection” at the point of Foundation Day. If you check the Korean original version, it says “True Mother must perfect that by February 16, 2013.” (May 11, 2007), proving that True Father did not refer to True Mother as having to perfect herself. Moreover, the assigned dates have been changed from “February 16, 2013” to “June 16, 2013”, which is after Foundation Day. This criticism is based on the use of totally inaccurate words, a criticism that is completely irrelevant. 6. True Mother sat on True Father’s chair to take over True Father’s position? 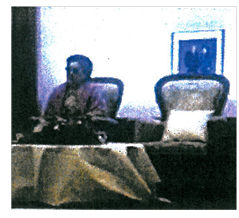 As mentioned previously, Hyung Jin Nim is criticizing that, “True Mother has seated herself on True Father’s throne by claiming the Han clan as God’s linage.” The picture of True Mother seated on True Father’s chair is being used to portray this image. 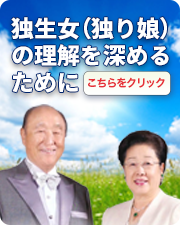 True Father has said, “The True Parents have achieved ultimate unity and offered and proclaimed the era of God’s full transcendence, full immanence, full authority and omnipotence upon the standard of perfection, completion and finalization.” (p20-23, “Today’s World Japan” 2011 May Edition) As mentioned in these words, if you are a member that really believes the “ultimate unity” of True Father and True Mother, you should be able to understand this with a faithful heart that True Mother loves True Father deeply that she sits on his chair and is “united”. The reason why the members of the Sanctuary Church see this with a critical eye that “True Mother is trying to take over True Father’s throne” is because they are looking at True Mother with an “unfaithful eye”. Generally, it is natural to wish to touch the places your spouse loved, and sit in places that are filled with lingering scent if you lost your truly loved ones. You may wish to stay there forever. Much more, they are the first and probably the last, eternal, only True Parents. We should think that these things are done because they are in total unity. We truly hope that you can see True Mother with a loving and faithful eye. 7. The position of Adam and Eve was reversed in the four position foundation chart. Is this reversing dominion? Although the lecture plan for the “exposition of completed testament providence” that can be found online says 2014, this lecture plan itself was made by Mr. Ken Sudo in 1994 under the direct instructions by True Father. This chart was made by exactly copying the chart written on the blackboard by True Father. Therefore, this lecture plan was not created today, but created during the 160 thousand seminar for Japanese women in Korea 20 years ago. 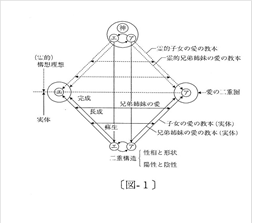 According to the staff of the Jejudo Workshop, True Father explained the chart with Adam on the right and Eve on the left with the assumption that they are facing God. Therefore, it is not about “reversing dominion”. There is a similar chart made in 1996. By the way, since lecture plans were traditionally made with Adam on the left and Eve on the right with the assumption that they are facing their backs towards God, the Japanese lecturers decided not to use the reversed version to prevent confusion. 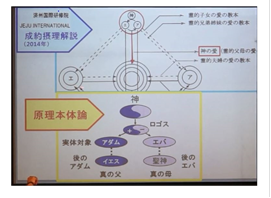 This is why the lecture plan made during the workshop in Jejudo was not spread in Japan. Especially, it did not spread out world wide since this seminar was targeted only to Japanese sisters, and no other members from Korea or from other countries participated. As you can see from the lecture plan online, everything is written in Japanese. None of it was translated into Korean or into English. However, a four position foundation chart with Adam and Eve’s position reversed was included in the material given out at the “World Leaders Assembly” in 2015. This happened due to human error. One of the Korean members mistakenly placed “Eve” in the position of Adam and “Adam” in the position of Eve, which is different from the original Korean version, which created a great controversy for the Sanctuary Church. In any case, the lecture plan for the exposition of the completed testament providence created from October 1993 to November 1994 during the 160 thousand seminar, was created with Adam and Eve reversed by the direct instructions of True Father. In October 27, 2014 True Mother has mentioned, “Nobody educated me. The only begotten son and the only begotten daughter are equal. It cannot be said that the only begotten son educated the only begotten daughter. Do you know what this means?…I made the determination.” The criticism was made since True Father has said “Eve must be restored from the fallen dominion, and stand in the standard as the good daughter”, “I have to educate her alone, in order for an innocent girl to stand above all women.” It seems to be contradictory from True Mother’s words. In order for True Mother to victoriously stand in the position of “True Mother” of humankind, she had to dedicate herself to live God’s Will with absolute faith, absolute love and absolute obedience in front of God and True Father. As mentioned in these words expressed by True Father, True Mother “stuck firmly” and “is like the shadow that follows me around”, and has lived the path of absolute obedience until she was victoriously given the position of “the second founder” by True Father. This path from True Father’s point of view can be said that “Adam re-created Eve” and “True Father educated True Mother”. “All kinds of accusations, abuse, rumors, misinterpretations was happening around my family for the first seven years (from 1960). It was a period of shedding blood with these accusations, abuse and persecution, however it was all needed. The problem was if True Mother could bear these tribulations, overcome accusations and move forward. You can imagine how hard it must have been for True Mother. And True Mother was victorious towards everything. … whatever happens True mother held her patience with indomitable faith, and kept her silence through sacrifice, and maintained faith towards me. As True Father has mentioned, “Mother had to figure it out herself, persevere in her own understanding, in her own right.” it was a path without any teachings and education. In that sense True Mother risked her whole life with the determination in living this path to become True Mother, a path she had to figure out and develop herself. The words by True Mother that “Nobody educated me. The only begotten son and the only begotten daughter are equal. It cannot be said that the only begotten son educated the only begotten daughter. Do you know what this means?…I made the determination.” was spoken from this point of view. This concludes the first half of this lecture. The second half is also important so please be sure not to miss any of it. Thank you very much.